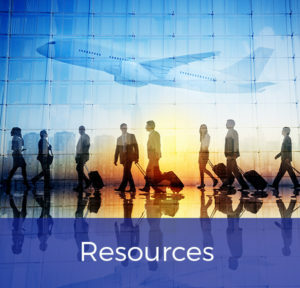 The successful management of a business travel program includes providing corporate leaders the reports, insights and information on travel program performance. For the travel manager, pulling all of the necessary data can be tedious and time-consuming. Fox World Travel not only provides standard reports on a regular basis, but has the analytics expertise to assist you when you need to dive deeper into your travel program data. At Fox World Travel, we are here to help you gather and report the information requested, using tools that best fit your business travel program. The result is a travel program scorecard that will impress those within your company who are looking for insights into the performance of your organization’s business travel program. Not only will we assist in making reporting easier and more comprehensive, but our analytics will empower you to enhance your business travel program. By using our analytics tools, your travel program’s performance is benchmarked against other programs of similar size and budget. Travel managers have access to an easy-to-understand dashboard of charts and graphs, showing the total expenses over a given time period. In addition, the travel manager scorecard will highlight the discounts and other savings achieved by partnering with Fox World Travel. For companies with locations around the world, we have an analytics tool that will capture a global view of your company’s travel spend. You don’t want to wait until the end of the month to get the information you need. We can provide real-time data on traveler activity, travel spend and travel policy. You don’t want to waste money on unused airline tickets. With our quality control software, we will automatically send you reports on current, used and expired tickets. When you have a specific need that’s not provided in the standard reports, our business analysts can assist with developing custom reports. As part of our regular performance reviews with customers, you can gain insight into your organization’s airline usage trends. Finally, those days of reviewing credit card statements line by line to check for discrepancies is over! Fox World Travel offers credit card reconciliation. Call us at 920.236.8000 or 888.369.8785 to learn about our business travel reporting tools that will give you the business intelligence you need to be successful or contact us online.